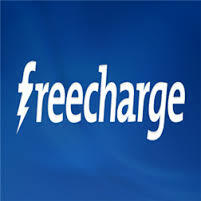 1.First Go to freecharge From Here or Download freecharge Mobile app from Here. 2.Login/sign up for a new account. 3.Initiate a Recharge of Rs 250 or More. 5.Finally pay amount with Debit/credit card or Netbanking only. 1.All users can avail this offer upto 3 times. 2.Cashback offer is avail only on minimum Recharge of Rs 250.Max cashback is 20. 3.Pay amount with Debit card/Credit card/Netbanking only.